Hillel, a Jewish scholar scribed this great question. I believe this questions pulls at the edges and core of sustainability. It also pulls at my own sustainability champion self-identity. As a person that has chosen a career of service, I am often pushing myself to fearlessly enter into the most challenging areas of an organization. I am not afraid of asking the hard questions if it will push justice, change or equity for people in my community and workplace. At the individual level, this question gets at the root of my calling. I can, with some reflection, answer at a very personal level why I step in and why I feel urgency on different topics, particularly advocating for the environment. This is not about my career, this is about my calling. Do businesses and organizations have a calling? We talk about their mission but I”m not sure that really gets at the essence of this issue. I have recently attended a few conferences where there were great profiles on large corporations stepping up. The stories of UPS, Proctor and Gamble, Waste Management, Xerox and others can be quite inspiring. They’ve asked the tough questions, or the “heretical questions” as Andrew Winston of EcoStrategies calls them. He speaks of Waste Management, a waste hauler, and the shift towards helping people reduce their waste stream instead of hauling it. As he says….Can you imagine the discussion where someone asked: ”what if our business model was to help people reduce their waste instead of hauling their waste?” These types of heretical questions are the ones that get that core of “if not you then who?”. He also gives the example of a floor cleaning company that asked the question…..”what if we offered a floor cleaning device that used no soaps or chemicals?” Tennant has done just that; they have designed an industrial floor cleaner that relies on water and UV lights. These two companies answered the question…If not you, then who? 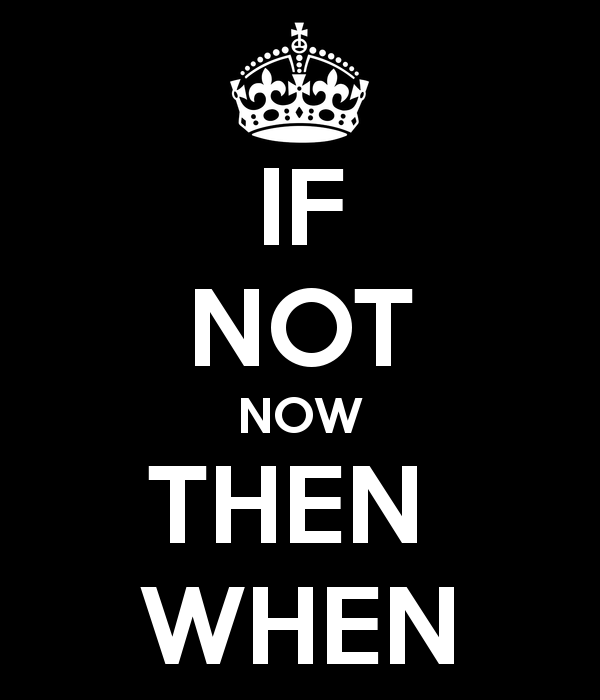 “If not now, then when?” The urgency of social and environmental challenges makes the timing of responding to the needs of individuals, communities, and regions even more imperative. Proctor and Gamble has done ecological footprints on their products and found their greatest footprints is in the homes of their consumers, in particular hot water for shampoos and detergents. They see the need for reducing energy consumption and the shift towards more sustainable water use. They are launching a campaign to get people to take shorter showers. Who would have thought that Breck shampoo’s message would be take shorter showers! P&G saw an urgent need and stepped up; ultimately this campaign may result in people using less shampoo. The cynical side of me is climbing out of my chair about now. These are massive corporations that are making giant shifts but their footprints are still enormous and they are dependent on consumer patterns. They are dependent on an economy of growth. But that’s another blog. When I deepen my pondering of the question, (“If not you then who? 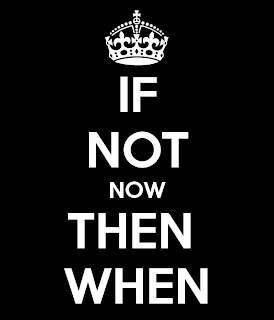 If not now, then when?”) I am struck by the importance of the actions, behaviors, choices, and decisions of the individual. Someone at P&G and Waste Management had to ask the question. He or she had to step up and ask the hard question. If we are to shift the way we communicate about sustainability, it’s critical that we create workplaces and communities where the tough questions are asked and addressed. We need to look those tough heretical questions square in the eye. We need to create spaces where they are encouraged as part of the culture of communities and organizations. So, I wonder if there is something else to add to these questions. “If not you, then who? If not now, then when?” How about: ”if not fearless, then what?” How do we make this statement a mantra for sustainability champions? What should we add so that more people feel free to ask these questions and to boldly champion a change forward?